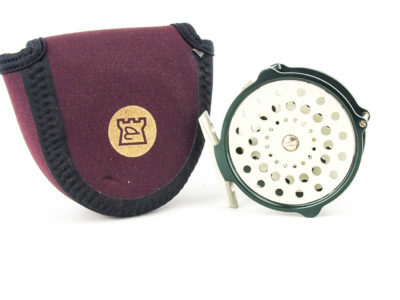 In mint condition and complete with original padded case. 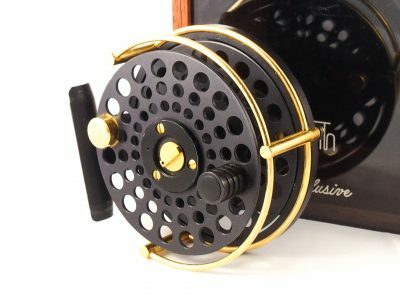 The reel was recently serviced at the factory. 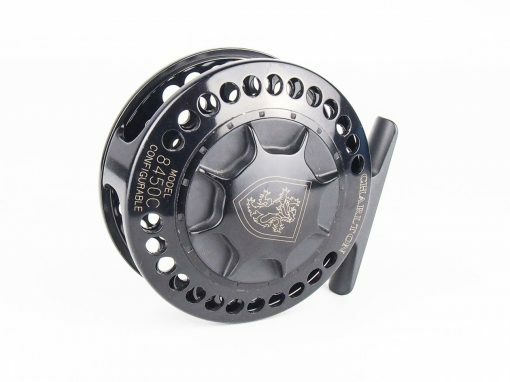 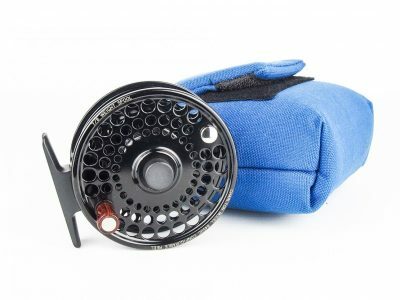 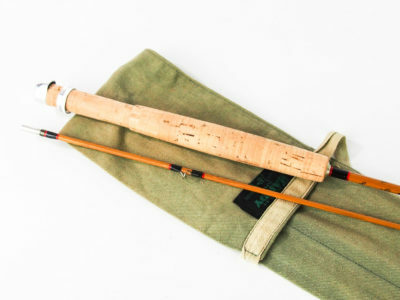 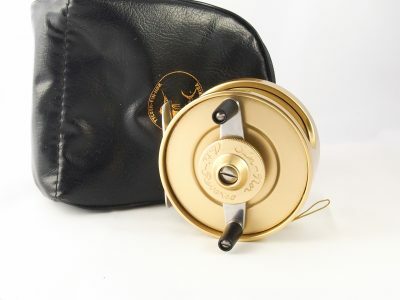 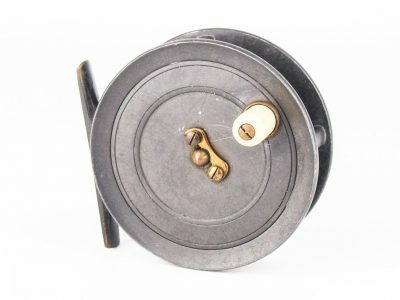 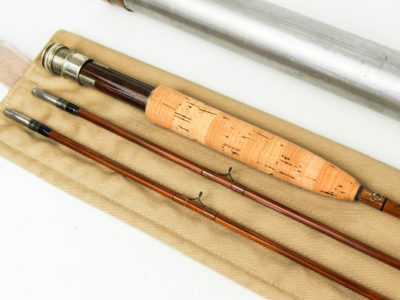 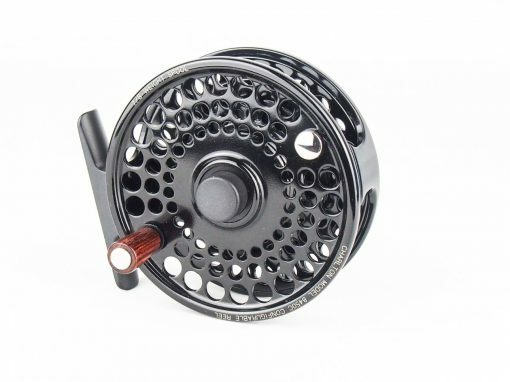 The Charlton 8450C Configurable Reel is one of the most sought after fly reels ever produced. 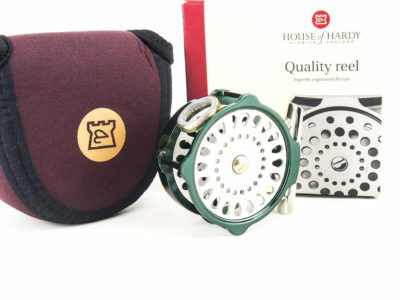 It is now very rare and highly collectible. 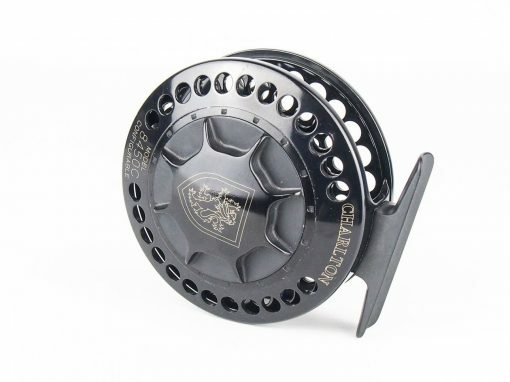 The legendary sealed carbon fiber disk drag is designed to withstand years of abuse. 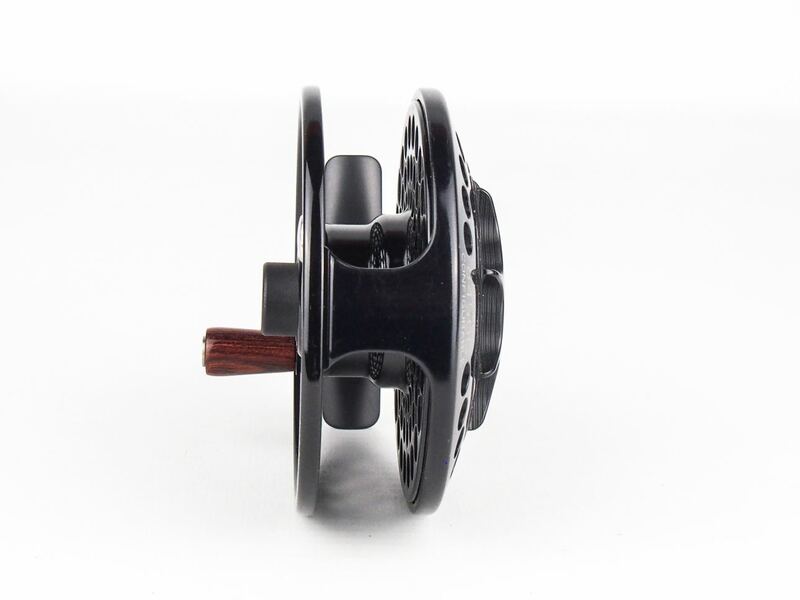 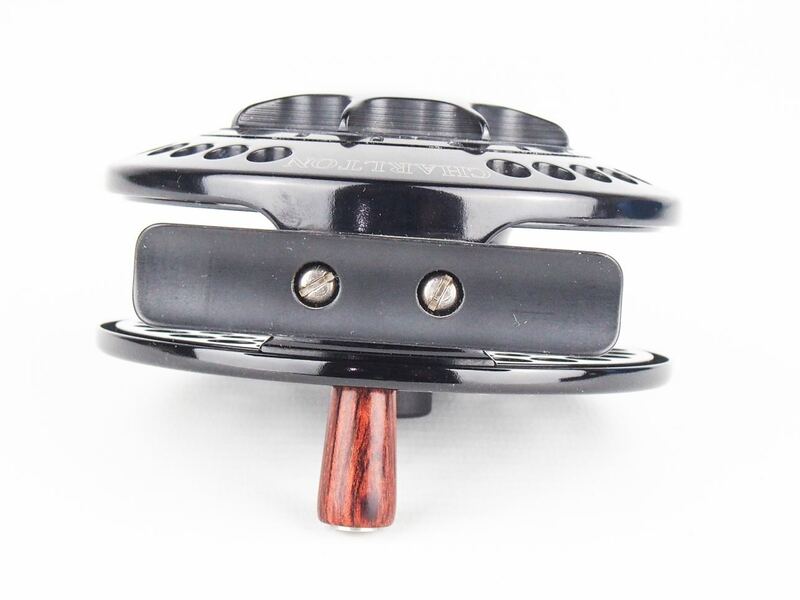 The 8450C’s engineering allows adjustable options for up to six different line sizes to fit on its frame: a quick-release knob allows easy changes to either a 3/4, 5/6, or 7/8 spool. Meticulously coated with high-polished deep black Type III anodized finish with matte reliefs. 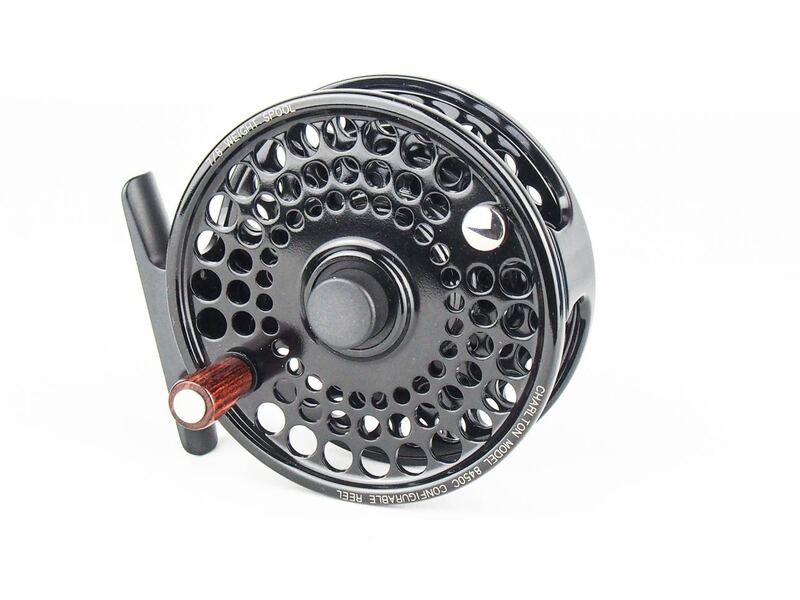 Fully machined from high-grade aluminum and steel. Designed for use in both freshwater and saltwater. Snap-Reverse system instantly reverses to LH or RH retrieve.